Facing criminal charges can be a tough experience to try and handle on your own. A criminal court case can involve numerous appearances, legal documents, and a large amount of time and money spent. 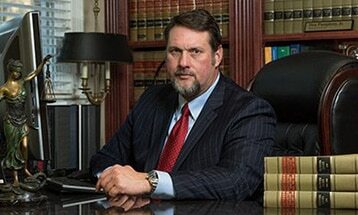 This can cause much stress and aggravations that can be alleviated by a criminal defense attorney. The attorneys at Pumphrey Law are Tallahassee-based criminal defense attorneys that fight cases for men and women who have been charged with a criminal offense in Lafayette County and Mayo, Florida. If you’re facing criminal charges in Lafayette County, seek the legal advice of an experienced criminal lawyer that can help you cope with your criminal case. Pumphrey Law offers proven trial experience and knowledge in fighting to protect clients in Lafayette County in a wide variety of cases. Some of his major criminal defense practice areas include driving under the influence offenses, violent crimes like assault and battery, domestic violence, and theft crimes. No matter the offense, the attorneys at Pumphrey Law take an aggressive approach to each case to ensure that each client can work toward a favorable outcome. If you are facing criminal misdmeanor or felony charges, we want to fight for your rights, right now. The attorneys at Pumphrey Law are ready to fight your case with all of their experience and knowledge regarding criminal defense. You can rest assured that your case is in the right hands and that it will be made a priority. A criminal defense attorney can help you fight a conviction and get the best results for your case. If you’ve been accused of a crime in Lafayette County, take the right steps to fight your case. Contact Pumphrey Law today at (850) 681-7777 or send an online message to schedule a free case evaluation.